I’ve written before about my never-ending love for Liverpool. I lived there when I was at university, I’ve been back countless times since and I now make a habit of taking the girls during the school holidays. Liverpool was my home for just three years but they were important years so it’s important to me that the girls know the city. 1. Pay a visit to Imagine That! A play centre with a difference, Imagine That! offers kids the chance to create, explore and imagine to their heart's content. They can get messy painting and sticking in the craft area, create giant bubbles in the water zone or get creative with their imagination in the village. We took Ebony a couple of years ago to their old site and she had the best time exploring the different activities on offer (you can read our review here), we haven’t paid a visit to the new site yet but it looks even more amazing, so will undoubtedly be worth a visit. The International Slavery Museum, located on Albert Dock, tells the stories of people who were kept as slaves, detailing their daily lives and the oppression they faced. If you want to teach your kids about important issues and why they still matter today, this museum is a must-visit. The museum focuses on the legacy of the slave trade, so your kids will also learn why the continuing fight for equality and freedom is an important one. Sefton Park is one of my favourite places in Liverpool. I lived really near the park when I was in Liverpool and spent many a happy (and a few unhappy) hours in the park. If you want to enjoy some green space while you’re in the city, this is the perfect place to visit. The big park is filled with huge old trees, colourful flower beds and terrifying geese (they are no more terrifying than other geese, it’s just that all geese are terrifying). The park boasts a number of statues, a beautiful waterfall and a Victorian boating lake (you can’t actually boat on this anymore though), as well as some huge playgrounds for the kids to enjoy. Joseph Williamson was a well-known philanthropist and eccentric living in Liverpool in the 19th century. Williamson created an underground world in the city, the tunnels took 30 years to build but then sat derelict and hidden until the 1990s when excavations began. 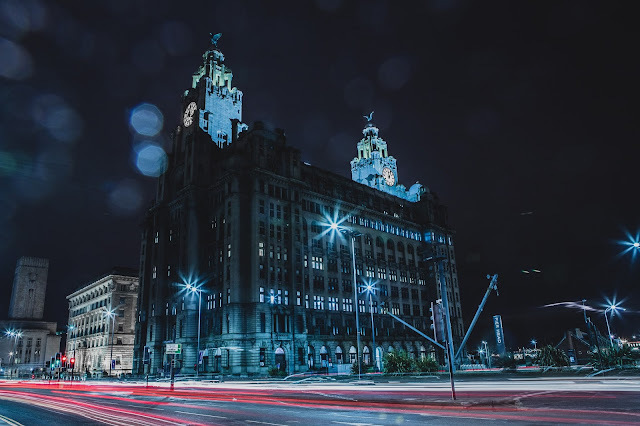 Since then, the Williamson Tunnels have been opened to the public, allowing visitors to experience some local history and get an insight into one of Liverpool’s most notorious eccentrics. The reasons for building the tunnels remain unclear, though Williamson claimed it was a way of providing jobs and wages to those in need. William Brown Street is filled with enough child-friendly tourist attractions that you can easily lose a day just on this one street. First up, there’s the World Museum - five floors of child-friendly information, activities and displays, you can’t go wrong with a trip to the World Museum. The museum covers dinosaurs, space and the natural world, allowing kids to get stuck into learning. Central Library is just a few steps further up the street and is definitely worth a quick visit. From the viewing gallery on the library’s roof, you can enjoy views of the city and its iconic skyline. The Walker Art Gallery is the final place on the list, and it’s a great place to kill some time. You can explore the gallery or keep the kids entertained in the learning zone. There are enough books, crafts and toys to keep them busy for hours. Don’t forget, if you’re planning a weekend visit to Liverpool it’s always worth checking Groupon to see if there are any offers or discounts available for the attractions you’re planning to visit. You may even find some inspiration for other places to check out while you’re in the city.